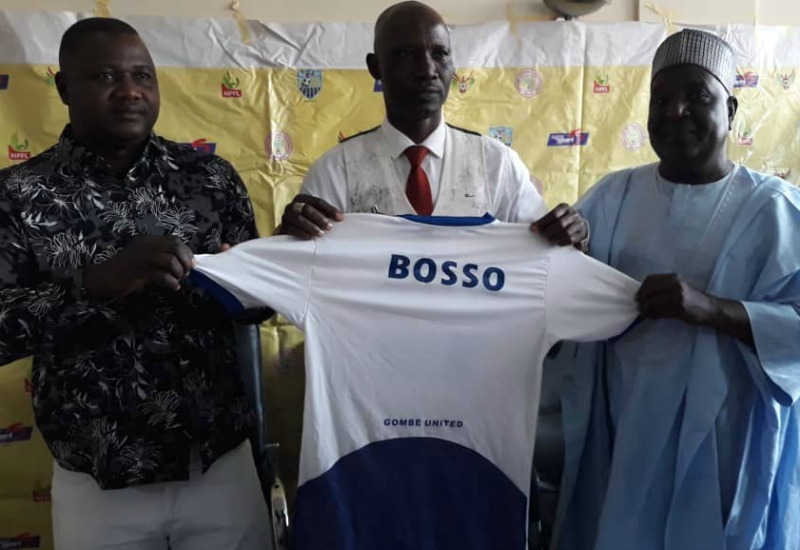 Nigeria National League side Gombe United have unveiled Ladan Bosso as their new coach for the 2018 /19 season at the Club’s office on Monday. The former El-Kanemi boss put pen to paper for a year deal with the club after he left former Aiteo Cup winners FC Ifeanyi Ubah over wages dispute. While speaking to the media, Bosso said that Gombe the task ahead is to return the club to the Nigeria Professional Football League next season. “I watched some of their matches and with the calibre of players I have seen, we will need to add a few reinforcements in some key areas and the team will be ready for the new season, ” he said. “Gombe are a club with tradition and a good structure, which will make it easier for me to work and succeed. I like to leave a good legacy at any club I go to – if the working conditions are right – and Gombe will not be an exception. “We have a good target for next season and we will work hard to see how we can achieve it at the end of the season. We will need the support of everybody on board – the management and the supporters – to achieve our goals.